That’s the last time I am typing out that subtitle. 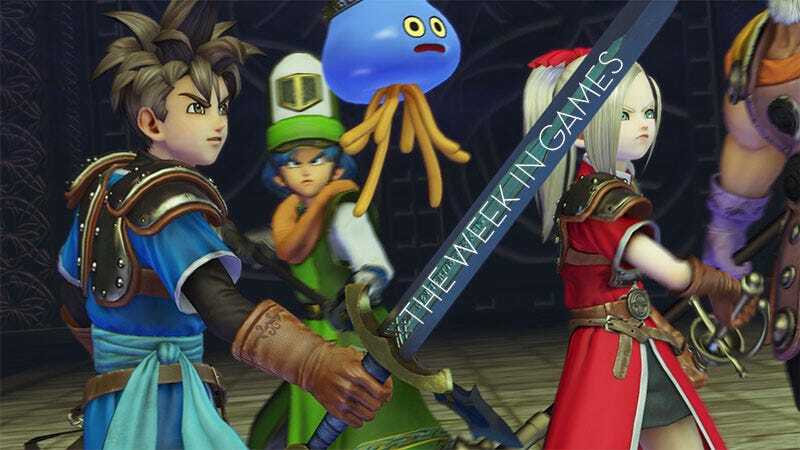 The Week in Games is getting longer as we head into big-time fall madness, with games coming at us from all sides, like slimes. Beautiful Dragon Quest Heroes slimes. I received a copy of the game on Friday—the review embargo was a couple days before that—so I’ve barely begun to sink my teeth into Dynasty Warriors-flavored Dragon Quest. The game is very pretty and quite solid, much like Hyrule Warriors and much unlike every Dynasty Warriors game. Omega Force should stick to making games for other properties. Let’s see what we’ve got to work with this week.